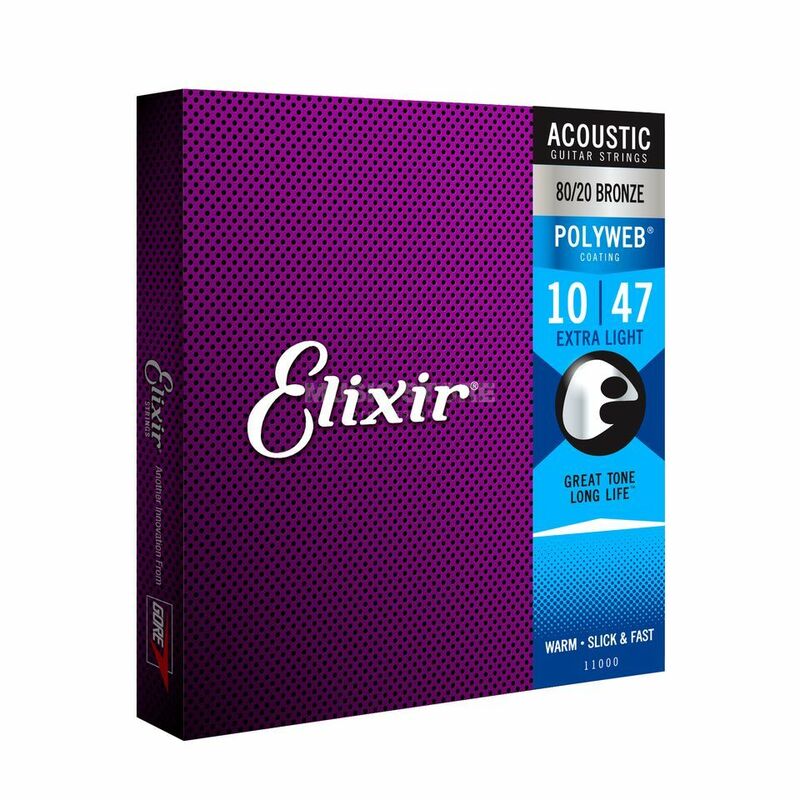 The Elixir 11000 80/20 Bronze Polyweb Extra Light Guitar Strings 10-47 is a set of 6-string acoustic guitar strings. Polyweb is an ultra-thin coating that offers a 'played-in' tone from the first use, and extends the overall tone life of these strings. This coating also helps to keep gunk and dead skin out of the windings, thereby keeping the strings pristine for longer with a super smooth feel, and reduced finger squeak. Anti-rust plated plain steel resists against corrosion.